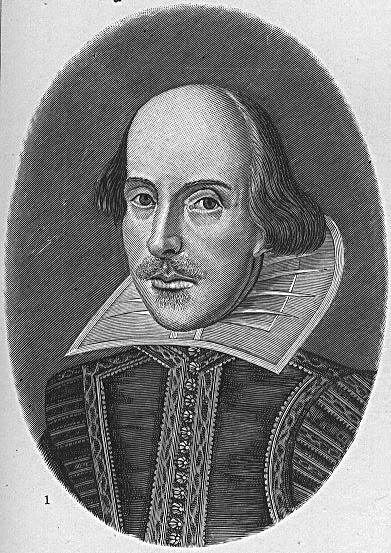 As a high school student, English can be a dreaded subject, especially when it come time to read Shakespeare. Shakespeare’s language is far from easy to understand making his texts difficult to follow and analyze. I completely understand that reading Shakespeare is a requirement as his plays and poems are great works of literature but for me and many other students, reading Shakespeare can be a nightmare and on top of that, simply not interesting. Two years in a row I have had to study Shakespeare’s plays and poems, until this year. This year I didn’t have to read one of Shakespeare’s plays. When I first heard this I was a bit frightened. Surely, this could only mean something even more difficult. The play was The Crucible by Arthur Miller. It is a chilling tale about the Salem witch trials and I absolutely loved it. The playwriting is fast pace, the language is not difficult, and the themes within the story are relatable. The play is intriguing from start to end, or rather, from the opening to closing curtain. Now I understand that we still have to study Shakespeare in school but I don’t think we should just study Shakespeare. Why not study more of a variety throughout high school? The Crucible, for me, was a play that I could much more easily interact with. It even had me looking up the Salem witch trials online because I wanted to know what parts of the story were true. I throughly enjoyed the story making me more interested in analyzing it. So…why always Shakespeare? Do you choose your path? Recently I have read Good Omens by Terry Pratchett and Neil Gaiman and another novel called, Love and Other Near Death Experiences, by Mil Millington. Both of these novels, have focused on the future and the question of how much the future already been decided and how much one can influence it. I find these questions surrounding the future and how much one can change it fascinating as there is no concrete answer. Good Omens is a book about the couple last days on Earth before the Armageddon. A demon and an angel, who are supposed to be welcoming the Armageddon, find themselves in a dilemma when they realize they really don’t want the world to end. They spend the story attempting to foil the plans for the Armageddon just to have a couple more centuries on Earth. The son of Satan who is supposed to bring the Armageddon, in the end, chooses to not end the world. Everyone is confused as this was supposed to be the boy’s destiny but he makes a choice not to except it. Which of course leaves the question: did he change his destiny or was his true destiny to make this choice? Choices. How much can you control your life with choices? Which leads to the second book I have recently read. Love and Other Near Death Experiences follows a man who becomes obsessed with the small choices one makes everyday and how they greatly affect one’s life. The male protagonist makes a relatively small choice to buy some towels, which his girlfriend later makes him return, causing him to be late to a meeting at a pub. Since he’s late to the pub he is not there when a truck hits the pub, killing many people there. He is convinced that the very little choices can greatly change one’s life. Now he can’t decide if he should step out of the shower with his right or left foot or what socks he should wear today. Where will each decision lead him? Can everyday little choices change your life path greatly? Or has the future already been decided? These are very huge questions to think about and I think the author Garth Nix summed up the question very well. Good Omens is a novel written my Neil Gaiman and Terry Pratchett. It is a fun novel though rather confusing with the British humour and many characters. Overall, the fictional book does a good job of examining ideas surrounding destiny and one’s future. Plot Outline (evidence): The story, Good Omens, by Terry Pratchett and Neil Gaiman, is a story about the coming Armageddon. An angel, Aziraphale, and a demon, Crowley, after spending many years on Earth, find themselves not looking forward to the Armageddon and a war between heaven and hell. They simply like Earth too much. They set out to foil the plans of the Armageddon without directly disobeying their superiors. With the birth of Satan’s son, the boy who will bring the Armageddon, Crowley and Aziraphale decide to meddle with the boy’s upbringing, hoping to save the Earth from its end, at least for another decade. After a mix up, Crowley and Aziraphale interfere with the wrong child while Adam, the actual son of Satan, grows with a normal childhood. The story continues with the preparation of the world’s end and the journey to find correct boy. Aziraphale and Crowley do eventually find Adam and at the climax of the novel Adam refuses to bring the Armageddon. The world is saved and the balance between good and evil in life continues. The plot fits the adventure archetype as the story centers more around the actual events happening than the characters. Although as a reader, one does come to know a variety of characters well, the story is not directly involved with one character’s emotional journey as much as in a quest plot. Character Description (evidence): Adam Young is not a typical hero as a result of being Satan’s son. He is not an evil boy but he loves to get into mischief. Adam has supernatural powers but his greatest strength is his humanity. It is his humanity that leads him to save the world at the end of the novel. Character Description (evidence): Crowley is clever and generally delights in sabotaging people. When he learns of the coming Armageddon, he is saddened at losing Earth because he realizes, he quite likes it on Earth. While the mission of stopping the Armageddon is self serving, by stopping the world’s end, he will save the Earth and the people on it. As a trickster, Crowley seems able to survive anything even driving in a flaming car while holding it together with his powers. Recently I read the short story, “I stand here ironing” by Tillie Olsen. It describes a young woman’s experience of being a mother, focusing primarily on her firstborn child. It was the depression, a harsh time to be a single mother. The mother tries everything to make her firstborn daughter’s life better, even giving her away to another family for a little while, but in the end the mother remains helpless to change things. The mother is stuck in her role of motherhood to her other children and she is also poor. Not having much money significantly hinders her options of helping her firstborn daughter to excel in life. I found this story incredibly sad even though I cannot relate to being a mother. What is relatable? The feeling of being trapped in a certain role. The consuming feeling of the things you could have done and how they might have changed the outcome of something. Perhaps the saddest thing is the setting of the story. The whole story the woman is standing ironing and I’m sure if the story continued she would still be ironing. She is helplessly stuck in one place despite of everything she has tried to do. I found this video of a picture/music interpretation of the short story “I stand here ironing”. It shows pictures from the depression which is the time the story is set in and when the author Tillie Olsen lived. Just like winter isn’t complete without a snowfall, a great book isn’t complete without impressive characters. Here is a favourite hero and villain of mine. 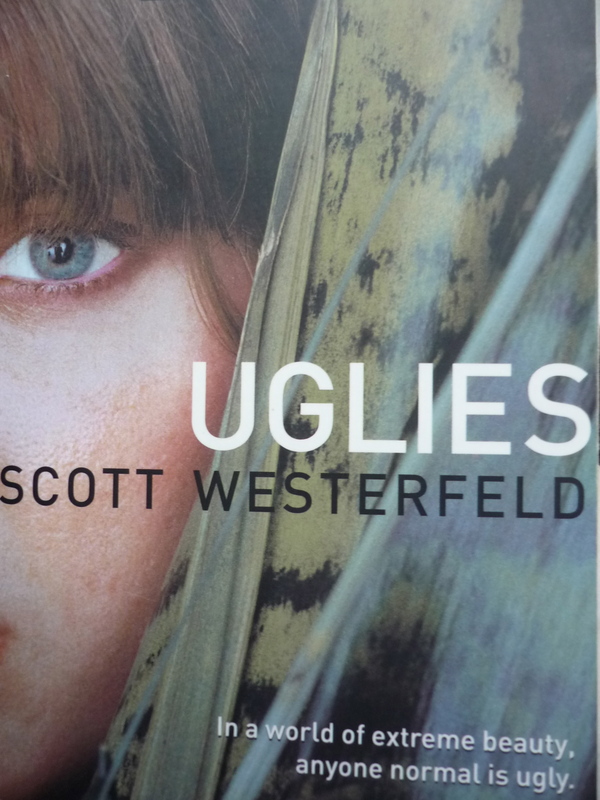 The Uglies series is most certainly one of my favourite series. This is mostly because of the exceptional heroine, Tally. The story is based in the future where a new society has been created. At the age of sixteen, everyone is given cosmetic surgery to make them beautiful. Though, not everyone is happy with this version of reality and there is a group of rebels, composed of people who have run away before receiving their operation, living outside the city. The first book, follows Tally on her adventure into the wild, after Tally’s friend runs away the night before both of their operations. Tally journeys to the band of rebels intent on turning them in, but while she is there, she makes some discoveries concerning the actual cosmetic operation and herself. The series asks big questions about what beauty really is and how people can allow themselves to be created by society. Tally goes through many changes throughout the books. I think what I truly like about her is that her true self always fights its way to the surface no matter how her society tries to change her. She never gives up or goes down without a fight. Her name, Tally Youngblood, even suggests that she will be the one to bring down the system. “What is light without dark?” This is the question Arkan asks the protagonist in the Pellinor series. I think this is a valid point, for what is a protagonist without a sharply contrasting antagonist? Although Arkan is not the antagonist throughout the whole series, he appears in the second book and locks Maerad away in his ice castle. He is a very intriguing character. While Maerad is held captive, Arkan has the most interesting discussions with her. They discuss love, evil, and liars. The conversations are thought provoking and they make Arkan one of the most engaging characters in the series. I think why Arkan tops other antagonists in different stories, is that even though he is evil, as a reader you quite like him. My feet can’t touch the ground from the piano bench and they sway in the air above the thick red carpet. My parents talk constantly of replacing the red carpet that was here when they moved into the house; they hate the colour. I tilt my head and ponder about the carpet, not really understanding the dilemma. All I know is the burning red carpet makes the lava game, where I jump from one piece of furniture to another trying not to touch the ground, because it is lava, of course, very realistic. What would happen to the lava game if the boiling hot lava carpet was gone? My dad’s body beside me is warm and he sits without a piano book in front of him, pounding out a tune. I watch his fingers dancing swiftly over the the black and white keys. In the silence between piano songs, I hear the noise from my mom’s sewing machine. The air smells like cinnamon from some cookies she just baked and, strangely, burnt toast. My oldest brother sits at the table crunching loudly on something that looks like a charred piece of wood one would find in a fire pit. Well, that explains the burnt toast smell. My dad shows me how to play two chords on the piano. The chords I’m playing weave in and out of the melody and I’m concentrating hard on keeping my beat. My dad grabs the harmonica off the top of the piano. He’s now playing the piano and the harmonica. I start laughing and lose the beat of my chords entirely. That’s when I hear the family dog come clumping up the stairs to the piano. Her tail is wagging and she starts howling along to the harmonica. She stops for a moment and looks at me, with the most serious look in her eyes. Then, she throws her head back, like a full blooded wolf on a full moon, howling her heart away. I hear my mom joining in, from her sewing machine, howling. I can’t resist. I throw my head back too and begin howling. My other brother is shouting from his room about the racket. My oldest brother begins to laugh from the breakfast table. His laugh is deep and and his whole body shakes from it. It’s windy and snowing outside but this house is always filled with piano jingles, laughter, and love.